When deciding on a place to go, people often want to know what a place looks like in addition to seeing ratings and reviews. You can now contribute photos to help others get a sense of places. You can now attach your photos to Places, and yours may even become the profile picture for that page. 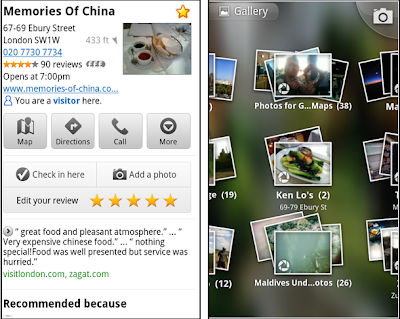 If you want to view or delete any photos you’ve contributed to Places, you can manage uploaded photos in the “Photos for Google Maps” album on your Picasa account. If you’re out and about and want to check in, we want to make sure you can quickly add a new Place to check into if one isn’t available. This might happen for new businesses or those that haven’t set up a Place page yet. 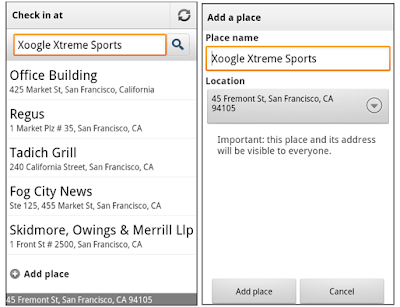 For example, let’s say you’re at Xoogle Xtreme Sports, a new sports shop in your neighborhood. You go to check in but don’t see Xoogle in the list of places to check into and when you do a search still nothing comes up. 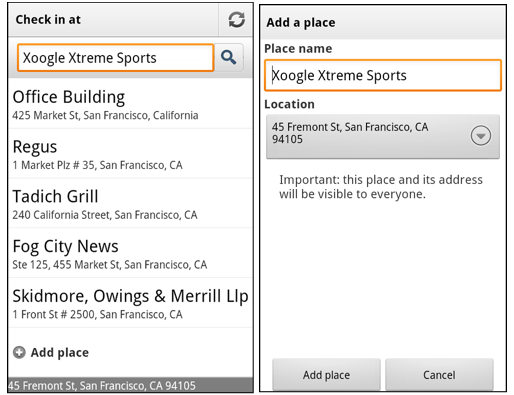 To solve this, you’ll now see an “Add place” option at the bottom of suggested places. Select that option, and you’ll be prompted to confirm the name and location of the new place. Then a brand new place is added (and you’re checked in). This place will be available for you and others to check into from Latitude, but will not appear as a search result in Google Maps or Google Places. 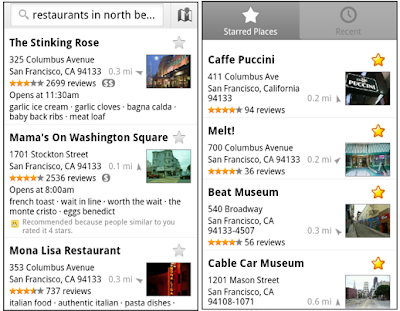 To start using Google Maps 5.8 for Android, download the update here. This update requires an Android OS 2.1+ device and can be used anywhere Google Maps is currently available. Learn more in our help center.